Nieuwenhuis has once again delivered a unique body of original music. 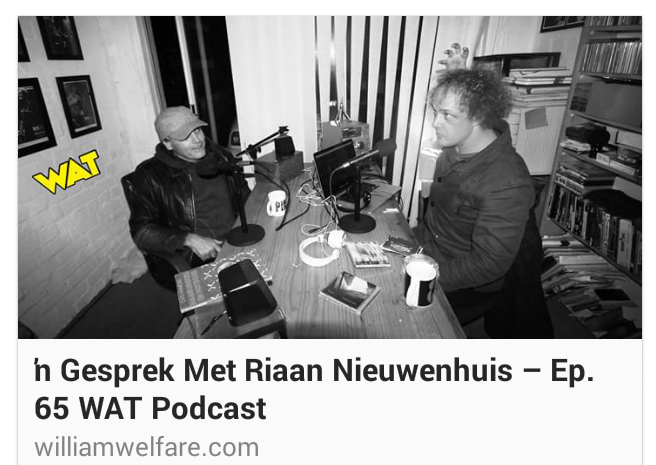 Following the success of the Mediator and Instigator albums, and numerous single tracks, Riaan Nieuwenhuis released Collaborator in February 2016. The success of the album, coupled with and a string of live performances, has led to Riaan sharing the stage with the likes of THE BLACK CAT BONES and OGOD. 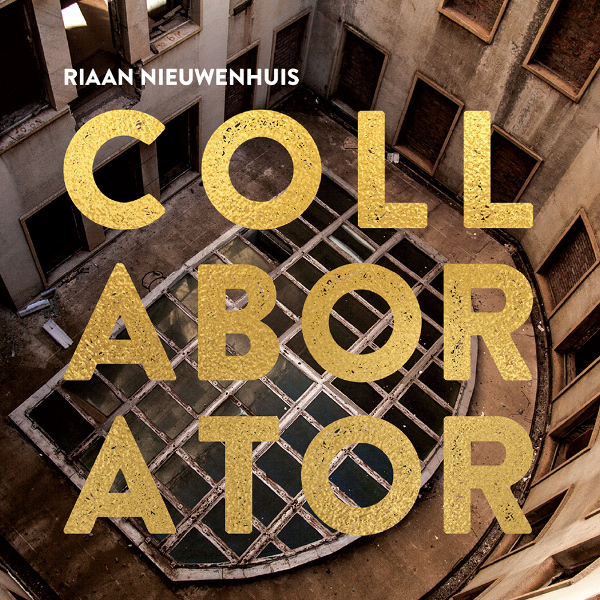 Due to growing popularity, Riaan was invited to perform the Collaborator set at Oppikoppi 2017, to great applause. Collaborator was invited to play at Zeegunst Fest 2018, and they have been invited to the prestigious STRAB Fest in Mozambique in 2019. The Gauteng leg of the tour included several Media interviews as well an Album launch at Rumours Rock City in Randburg. "An Instrumental Rock Album that reminds one of the Fathers of Rock Music to the likes of Led Zeppelin, Cream and Black Sabbath, played by crafty musicians..."
"Adrenalin vibes. The playing, production and instrumentation is excellent." "...The result is a huge iron statement in Rock, with extremely successful compositions and arrangements. This CD is not for the Justin Bieber market, it is for music lovers. This is Rock in its naked truth." 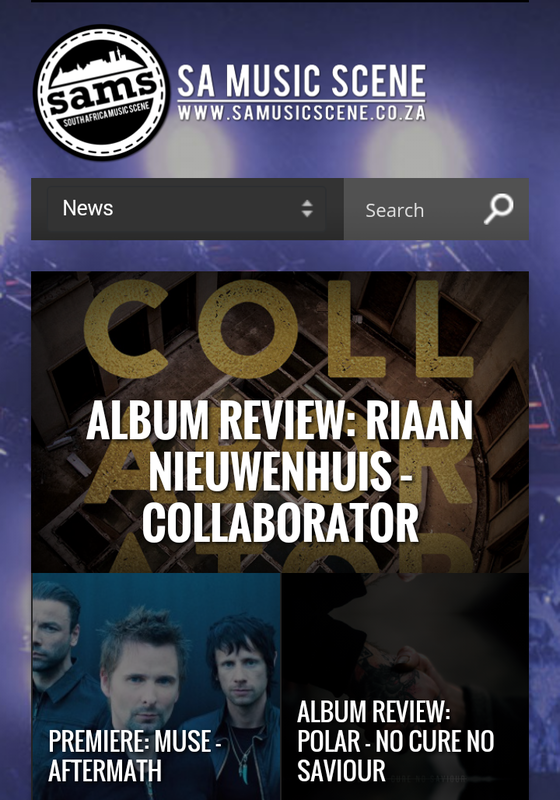 "Riaan Nieuwenhuis' new album COLLABORATOR is a rollercoaster of blistering rock instrumentals that takes no prisoners. As the title suggests, it features collaboration with fine musicians, on top form!" "The guitar parts and tasteful solos are solid and Riaan proves himself as guitarist to be reckoned with. Some seriously cool vintage rock drumming on this album too. This is a collection of well crafted rock songs by a multi-instrumentalist who understands instrumental music." "Trying to get my brain around this one. Seriously the best Rock album ever to come out of S.A. Well done Riaan Nieuwenhuis and the muso’s on Collaborator." "Multi-instrumentalist Riaan Nieuwenhuis has walked the walk. Collaborator is hot. Smoking hot" "Mature, crafty, full-bodied... less like wine, more like 100% proof Bourbon"
"Cool, smooth, intelligently layered. Fearless and multi-talented. Nieuwenhuis continues to impress with Collaborator." "The tunes on Collaborator work really well on the N1, preferably somewhere in the Great Karoo, but close to a town with a bar and a refrigerator with a purposeful compressor. Titles such as “Coordinates” and “Deep Dust” are apt descriptions of these driving instrumental compositions. “Prelude” is short, sweet and beautiful for when you wake up in a strange bed and hit the road again." The Collaborator album also featured on the program "Tempo" (RSG national radiostation ) presented by Ettienne Ludick.